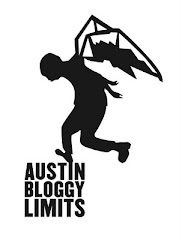 AustinBloggyLimits - An Austin Music Blog: Loud/Angry Bands = Chaos? I feel like I should be talking about this whole Chaos in Tejas thing that started last night/Wed night but to be honest I'm not into angry, aggressive music. Sorry bands that love Slayer but I don't like Slayer or your band. In any case there are lots of talented metal bands from all over the world converging on Austin all weekend long. Most-all of the events happening at Emo's, Beerland and the Mohawk are all part of this festival. There doesn't seem to be an "official" Chaos in Tejas page so it looks like the easiest way to get the important info you're looking for is, as usual, Show List Austin. All of my fellow servertron3030's at work yesterday were pretty hyped to see Propagandhi I didn't have the heart to tell them I'd never heard of it. I was more excited about an unrelated Shearwater show. Free Mp3's courtesy of Matador Records, thanks. Ok, so Harlem already played their affiliated show but I'm still gonna post something from them too. I know the band is somewhere behind that tall dude. Oh yeah, Harlem have a new member now according to GvsB but I haven't seen them since this was alleged to have occured. Oh, and they're still a 3-piece, they just REPLACED a member...it was the one dude that didn't sing and songs.